"What makes theatre, theatre...more theatre," said Robert Loeb, the visionary behind the redevelopment plans for Overton Square. In his blueprint for what will soon be the "theatre arts district" of Memphis, Loeb Properties and developers came up with a "Heart of Arts" plan that includes the relocation of the Hattiloo Theatre from 656 Marshall Avenue to the south side of Overton Square - on the corner of Cooper Street and Monroe Avenue. 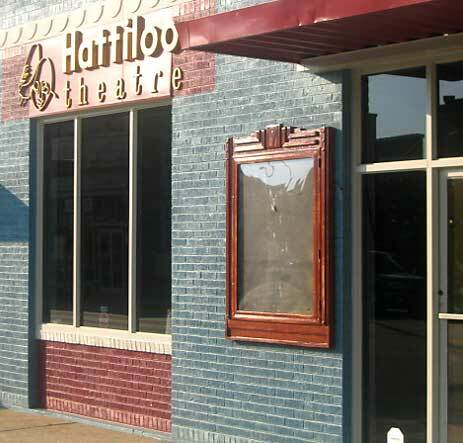 Hattiloo, which is a black repertory theatre company, will join Playhouse on the Square, TheatreWorks, and Circuit Playhouse. Outside of centralizing the theatre community, one of the goals for the move is to stimulate more business into the sqaure, said Loeb during his public meeting presentation at the Playhouse on the Square. "We as a theatre are an economic engine that drives the restaurant community," said Playhouse founder, Jackie Nichols. "Eighty-seven percent of the people that go to the theatre go out and have a drink or dinner before the show." The Hattiloo Theatre founder, Ekudayo Bandle, believes the move will also aggregate more cultural and racial interactions that will help improve racial integration in Memphis. "The racial divide is there and what we want to do is bring our audience here to Overton Square...so that we can truly integrate this whole area," said Bandle. What he sees for the future of Overton Square is "like Utopia." "That is really the society we want to see," Bandle said. He also emphasized his intent to keep the same intimacy with his audience. He said he only thing changing is their location. Once the move is complete, the old building will become offices and rehearsal space. "We have outgrown our space in just five years," said the founder. The current venue houses 75 seats but the theatre's future residence could increase capacity to 200 over time. Cooper-Young residents are also excited about the upcoming transition for the theatre. When asked how she felt about the rebirth of Overton Square, Heidi Hill, an associate company member at Playhouse replied, "I don't mind being a square." "It's going to have a halo effect on the whole theatre community and show promotion among each company will also increase," said Hill. they are currently asking for funds to be raised through a private capital campaign. At the end of the presentation about the Hattiloo Theatre, Loeb encouraged audience members to attend a show to see how it fits in with the community and the overall redevelopment scheme for Overton Square.